Communication is an exchange of information between two persons—a sender and a receiver. But it doesn’t end there. Feedback is an essential component because it closes the loop of the communication process: It validates how effective communication is and confirms exactly what is interpreted during the exchange of information. Effective communication can be challenging, but some simple strategies can boost your chances of success. Communicating with patients is often complex; each patient usually has multiple healthcare providers involved in his or her care. Effective communication is necessary to provide a positive benefit for patients. Communication with patients can help build a rapport, involve patients in decisions, reduce their anxiety, and increase their adherence, cooperation, and satisfaction. Ineffective communication contributes to poor outcomes, decreased quality of care, medical errors, and psychological stress for patients. It can cause them to feel unsafe and uninformed and to perceive staff as being inexperienced, incompetent, or unknowledgeable. Effective communication is an important component of quality patient care. In acute care, there are specific communication questions used in reporting quality indicators. For example, there are questions about communication with nurses, communication about medications, communication about pain, and communication between the healthcare team. These quality indicator scores can affect payment for healthcare organizations. Effective communication has to be an intentional process. Interpersonal skills should include listening, showing empathy, being patient, mindful of body language and tone of voice, thinking before speaking, not interrupting, and being open to receiving patient feedback. Barriers should be identified and considered in order to provide the best environment and opportunity to exchange information. Barriers to consider include medical jargon, noise and other distractions, hearing or speech deficits, language, culture, time, and family dynamics. What concerns do you have about your plan of care? What questions do you have about your medications? Did I answer your question(s) clearly? Listen closely for feedback from patients. Feedback provides an opportunity to improve patient understanding, improve the patient care experience, and provide better care. Round with the physician team and read consult and progress notes daily. Doing this ensures that you have the most up to date and accurate information in order to answer the patient’s question(s). Review information periodically with the patient to improve understanding. Use the patient communication boards in the room to set goals and communicate with patient/family and other healthcare providers. This could reduce call light use about questions related to diet and activity orders. It could also give patients and families the feeling that they know what is going on. Use electronic resources for printed information on medical procedures, conditions, and medications. It helps to have multiple ways to provide information. Finally, reflect on your institution’s mission, vision, and values periodically. It will serve as a goal and reminder for you in your daily practice. 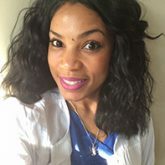 LaQuana L. Smith is an RN V staff nurse/clinical expert at the University of Arkansas for Medical Sciences in Little Rock. Ayuob NN, Qadi MA, El Deek BS, Boker AM. Evaluation of a communication skills training course for medical students using peer role-play.J Pak Med Assoc. 2017;67(5):745-51. Hashim MJ. Patient-centered communication: Basic skills. Am Fam Physician. 2017;95(1):29-34. Kanward L, Whiffin C, Spalek B. Feeling unsafe in the healthcare setting: patients’ perspectives. Br J Nurs. 2017;26(3):143-49. Norouzinia R, Aghabarari M, Shiri M, Karimi M, Samami E. (2016). Communication barriers perceived by nurses and patients. Global Journal of Health Science. 2016;8(16):65-74. I loved this article! I think communication plays a pretty big role in everything we do with a patient! Thank you for this helpful i information on communication. I am a recent nurse graduate who will be starting my nursing career in Burlington, MA. I’m always seeking ways to improve and be a better communicator in everything I say. Spanish being my first language, I sometimes feel that I become nervous when communicating important stuff to patients and their families. So this information will help me be better prepared to provide the best care to my patients and further improve with the suggestions and strategies provided. Thank you!